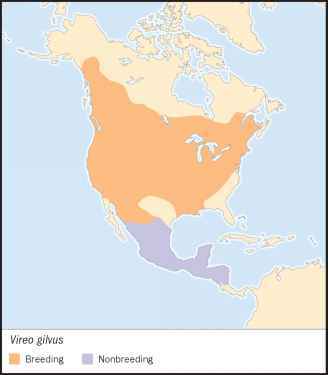 English: Rio de Janeiro greenlet; French: Viréon a plastron; German: Gelbbrustvireo; Spanish: Vireillo de Pecho Limón. About 5 in (13 cm). A slim-bodied bird with a short, pointed beak. 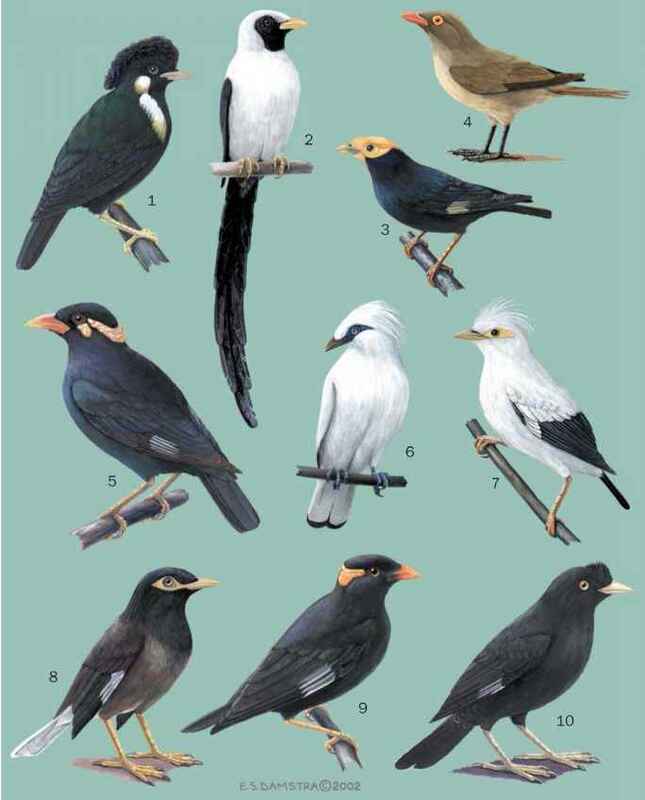 The upperparts are uniformly olive-green, the chest yellow, the belly and chin light gray, and the iris white. 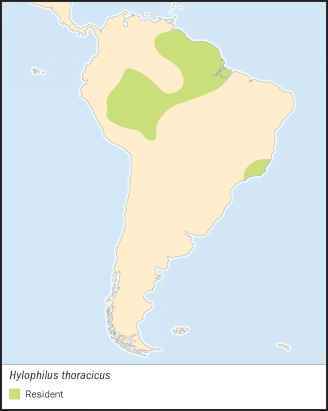 Northern South America, southeastern Venezuela and Colombia, eastern Peru, northern Bolivia, and southeastern and Amazonian Brazil. Humid tropical forest and forest edges, as high as about 2,000 ft (600 m). A nonmigratory species that defends a breeding territory. The song is a series of rapid, rolling "peeer" phrases. An extremely active forager for insects and other invertebrates, gleaned from foliage, flowers, and limbs; also eats small fruits. Occurs in mixed-species foraging flocks. Builds a cup-shaped nest that hangs from a forked tree branch. Both parents incubate the eggs and care for the young.